Gal. “Drei Ohren “Nivalis from large group of sharlockii types . 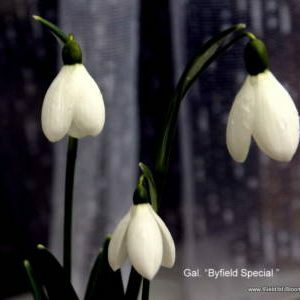 snowdrops with typical split – spaths , so called “donkey ears” The special with this variety is there are three of these leaves on the stem , rather than two .The snowdrop is rather inconspicuous and of stocky nature . 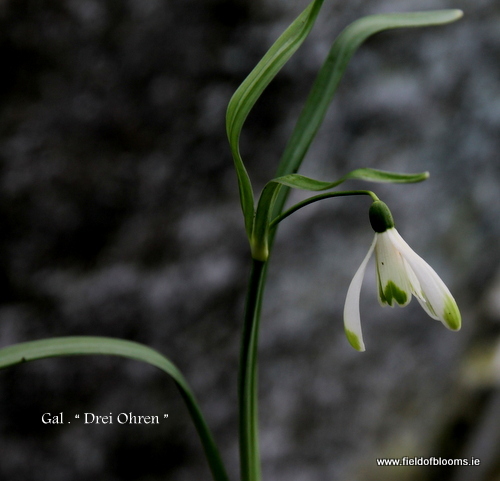 The flowers have narrow petals ,are small with characteristic green spots on the outer petals . 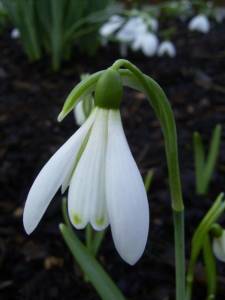 Please note some of the snowdrops are in short supply, to avoid disappointment You are advised to contact us to get an update before ordering on line.